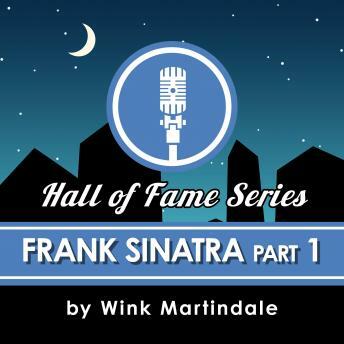 The third part of our Hall of Fame spotlight on Frank Sinatra's legendary career with host Wink Martindale continues the story of the artist who remains an internationally known icon. We dig deeper into the songs and soundtrack of Frank's career as told by friends and family, those who knew him best, including Nelson Riddle, Gordon McRae and a large selection of songwriters who collaborated with Sinatra. Bandleader Riddle remembers his arrangements for Sinatra classics like "I've Got You Under My Skin." Don Costa looks back on "Ol' Blue Eyes Is Back," Frank coming out of retirement and the genesis of "My Way." There were autobiographical songs like "It Was A Very Good Year," which surprisingly, weren't written with Frank in mind -- but he quickly made them his own.